Another month, another forgotten photo but we did manage to remember just a couple of days into August this time so now, here we are. July has been like no other summer I remember with England doing exceptionally well in the World Cup and temps hitting 30 for most of the month, and it's been so hot for so long, I've found myself longing for Autumn and the start of the premier league already (naughty). Before we get there though, we said goodbye to Ivy's short-lived nursery life this month - with her even competing in a little Sports Day on the last day of term - and have now made it our mission to enjoy some special time together before school starts for her in September. I am so anxious about her starting but I hope when we get there, that feeling is overrided with excitement for her as she certainly can't wait. Ted did end up with the pox too so most of July was spent avoiding our nearest and dearest but we're already making up for that now by catching up with old friends and also meeting new ones. I hope August though allows us four to spend some quality time together, travelling around in our brand new baby - the Tiguan! 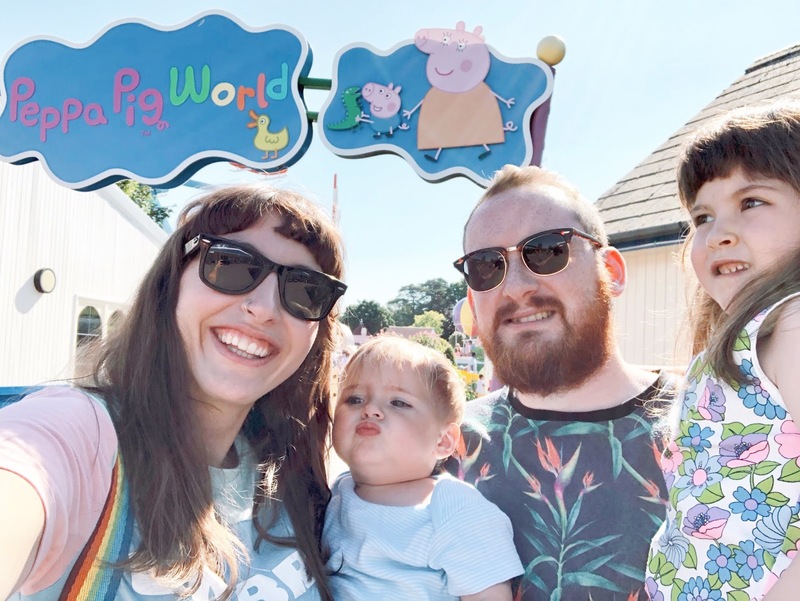 - before the big changes that lay ahead of us and what better way to kick off that month than in one of my favourite places, Peppa Pig World.